Our USA Garden Flag is constructed of 100% nylon, measures 13x18 inches, and has a top sleeve for insertion of our garden stand, window hanger, or mailbox pole. The stars and stripes are sewn and embroidered into our USA Garden Flag which results in a durable and quality flag and can be seen from both sides. 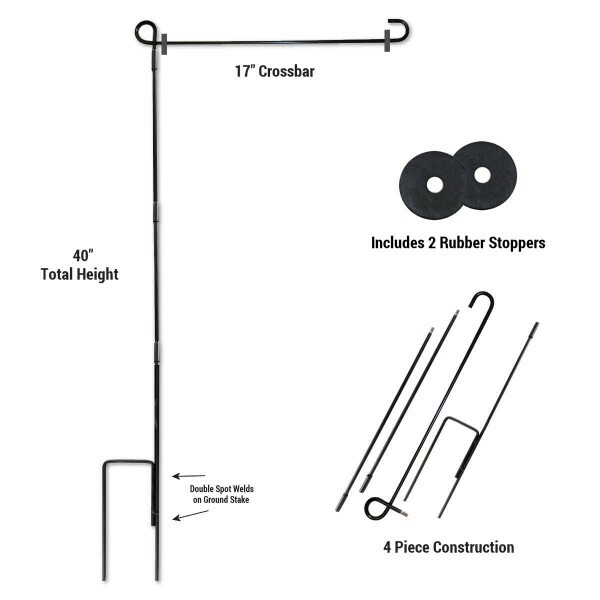 Hang your USA Garden Flag with our telescoping Garden Flag Stand, Mailbox Pole or Window Hanger.